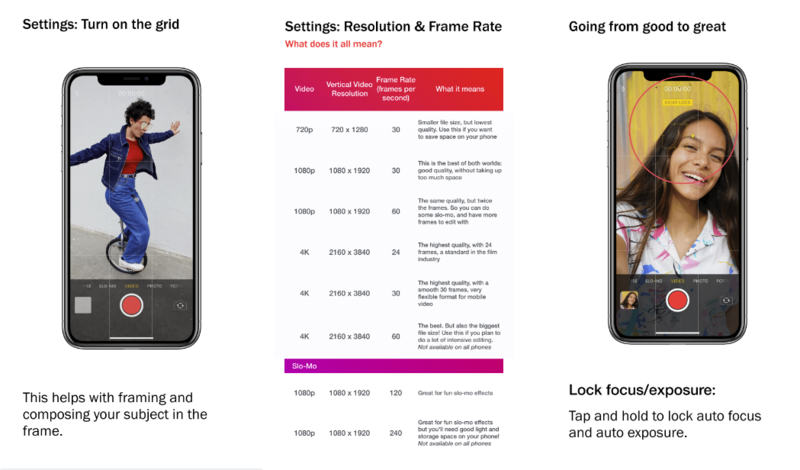 Instagram has published a new guide on how to create content for its new IGTV long-form video platform, which includes a range of tips, apps and accessories you can consider to help improve your IGTV videos. Shared by social media marketing expert Matt Navarra, the 50-page guide covers a range of elements. As you can see above, the guide itself is split into four categories, with various recommendations and tips on each. 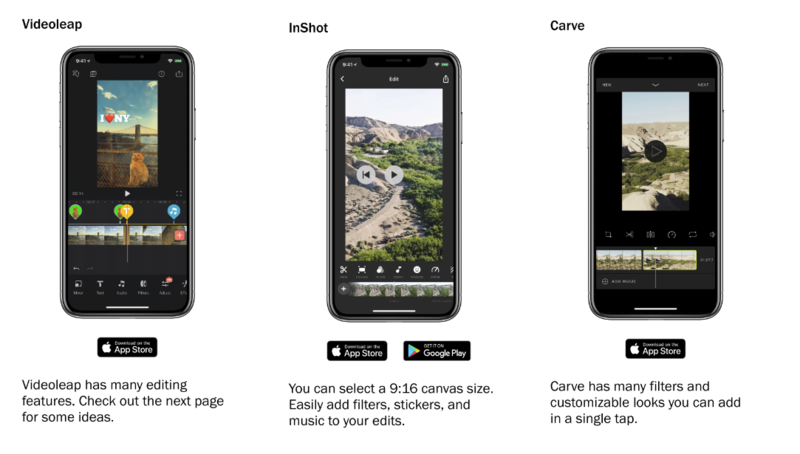 One of the most interesting elements is the app recommendations. 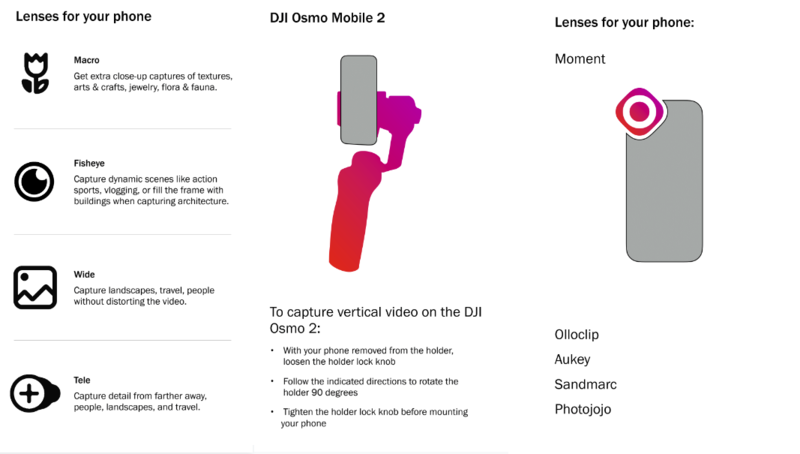 While Instagram notes in the introduction that they do not endorse or sponsor any of the apps listed, and the platform is not affiliated with them in any capacity, these are tools that Instagram has found useful, which users likely will also. 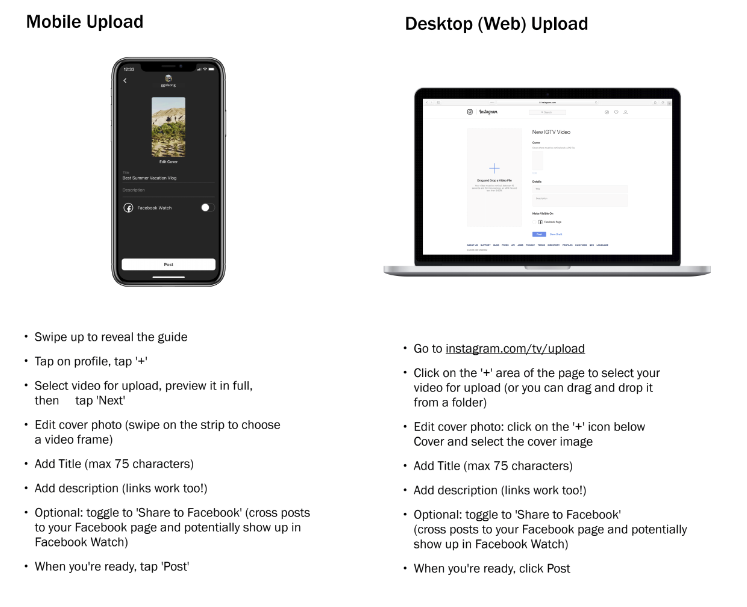 And provides an outline of how to upload IGTV videos – both from mobile device and desktop. 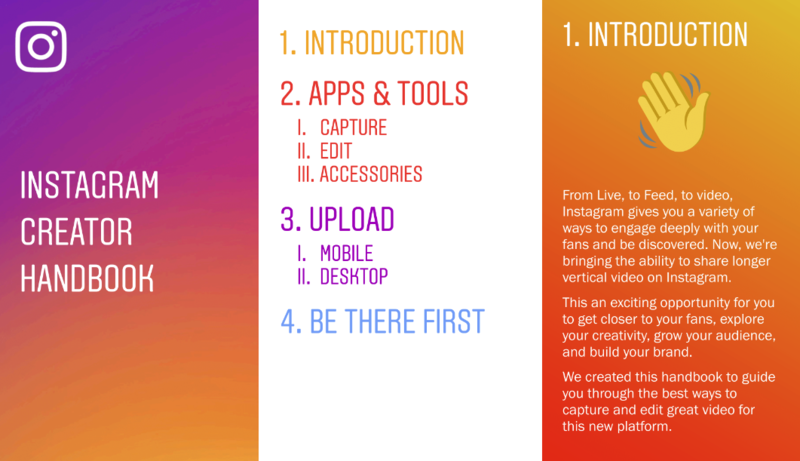 There’s a lot of interesting notes to take in – if you’re considering getting into IGTV content, it’s worth a look. You can download the full IGTV guide from this post. 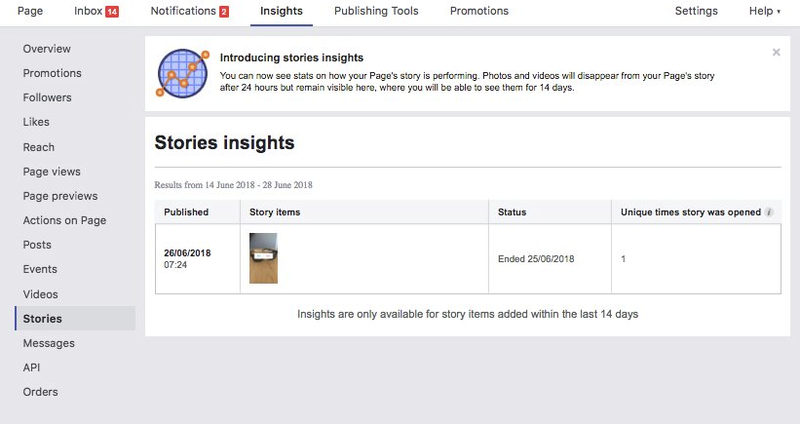 And one other tidbit of interesting, somewhat related info – Facebook has started rolling out Stories Insights to Pages. Worth noting as more businesses look to tap into the latest content options.